Home » Govt Jobs » Govt Jobs 2015 » Jobs for Post Doctoral Fellow » Jobs in G.B. 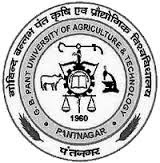 Pant University of Agriculture & Technology. » Jobs In Nainital » Post Doctoral Fellow jobs in G.B. Pant University of Agriculture & Technology in Nainital. Post Doctoral Fellow jobs in G.B. Pant University of Agriculture & Technology in Nainital. Candidate should apply on plain paper on the prescribed proforma given as under to Dr. A.K. Sharma, Project Leader, Deptt. Biological Sciences, College of Basic Sciences & Humanities, G.B. Pant University of Agriculture & Technology, Pantnagar-263145, US Nagar, UA. Candidates fulfilling the qualification should appear for the interview on 08th September, 2015 at 11.00 AM in the office of Project Leader. No separate interview letter will be issued and no TA/DA will be paid for appearing in interview.